ROSLYN, NY, February 14, 2018 – “Zemra” means “heart” in Albanian, and for four children from Kosovo the word has extra special meaning this Valentine’s Day. Two 4-year-olds, a girl and boy born with holes in their hearts, received lifesaving procedures at St. Francis Hospital just a week before Valentine’s Day. This February 14th they will finally be able to play like other children their age. Two other children from Kosovo now have the same hope. They were evaluated for procedures today at St. Francis to mend their broken hearts after being brought to the U.S. through humanitarian efforts by the Gift of Life. “Back in the nineties, these children would have to undergo open-heart surgery for their conditions. But thanks to the minimally invasive procedures we have today, we can plug up the holes in their hearts through a tiny catheter-based device inserted through their legs - leaving just a band aid over the site,” says Sean Levchuck, M.D., Chairman of Pediatric Cardiology at St. Francis, who donated his medical services. Olta Terstena and Ajan Rusinovic, both age four, suffered from Patent Ductus Arteriosus or PDA, a congenital heart defect that made them too tired to play like most children their age. But just a week after undergoing the non-surgical procedure to correct their congenital conditions, they can look forward to playing with their siblings without losing their breath. Ajan’s mother knows the benefits firsthand. A year ago, her 11-year-old daughter Esma- Ajan’s sister- received the very same procedure at St. Francis to correct the debilitating condition that runs in their family. While Olta and Ajan make their amazing recoveries, two other children from Kosovo will soon be getting to new leases on life at St. Francis. 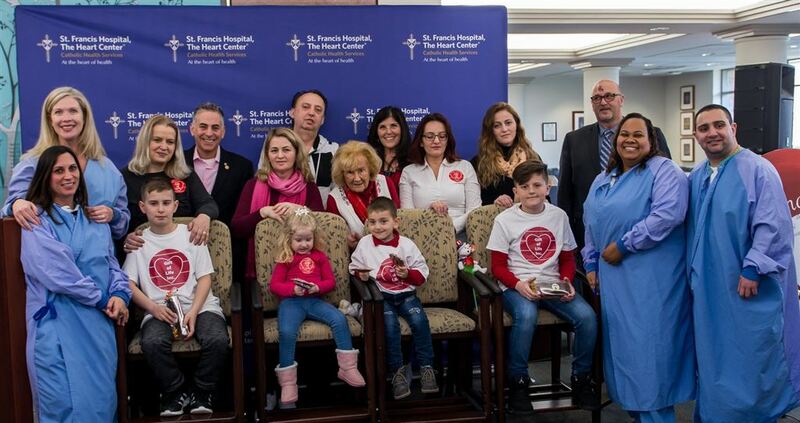 10-year-old Donart Ahmeti and 12-year-old Faik Isufi, both boys, successfully underwent tests today to qualify for life-saving heart procedures just in time for Valentine’s Day.